Filmmaker #HansalMehta is fearless while making a movie or in real life. 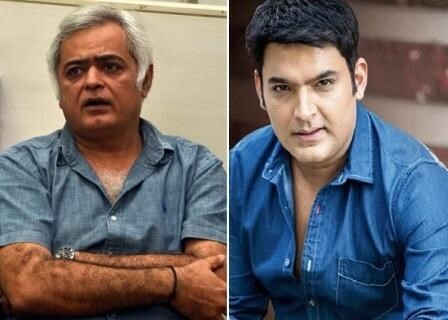 In the recent turn of events #KapilSharma hurled abuse at media group on social media and faced widespread criticism, Mehta shares his input on the matter and stated the journalist in question is “No Saint” either. Comedian Kapil Sharma broke the internet with his mean and abusive tweets, mostly guided towards one particular reporter, who is according to actor published fake news and tried to extort money from him. Kapil Sharma ended up crossing the line on social media and faced criticism from fans and media groups. Now Hansal Mehta joins the bandwagon, stating the journalist is no saint either. He wrote, “Kapil Sharma's language with the journalist was despicable but also a sad reflection of his possible state of mind. The journalist in question is no ethical saint either. He has harassed many people, spun many malicious stories & has created stories with his misleading questions”. The comedian Kapil Sharma has filed a harassment complaint against ex-girlfriend Preeti Simoes, and Neeti Simoes along with a media person. In his complaint, Kapil has alleged that the trio has been mentally harassing him. As for Hansal Mehta, he is currently promoting upcoming Omerta, which is a biographical crime drama starring Rajkumar Rao in the role of Ahmed Omar Saeed Sheikh, British terrorist of Pakistani descent. Omerta is scheduled to release on 20 April, 2018.